Incorporated in the year 2009 “The Global Pharma Equipments”, has achieved many milestones in manufacturing, exporting and supplying commendable gamut of Pharmaceutical Equipments and Machinery. We are also provide Fabrication Services. Today, The Global Pharma Equipments has carved its unique place in the industry and it has loyal sets of customers spread across the nation. We believe in constantly innovating and re-inventing our business process and this has helped us achieve perfection in product quality and widen the range of Equipments and Machinery. We cater any kind of machinery requirements of pharmaceutical industry. we promise to travel that extra-mile to meet challenging customer demands. Based in Thane (Maharashtra), India, since inception, ours is a Sole Proprietorship (Individual) firm. With the state-of-the-art manufacturing infrastructure in place, the company is well-equipped to handle any kind of tight production schedule. We are capable of manufacturing the entire range of machinery and Clean Room Equipments at our factory premises itself.” To be a growth driven company, this is ranked amongst the top national players within the industry as well as worldwide. Under the able guidance of our mentor, 'Ms. Sneha Nair', we are able to maintain our unique stature in this stiff market competition. She has a commendable industry expertise and in-depth knowledge in this domain. Because of her encouragement and support, we have touched new dimensions of success. Blessed with a highly efficient and competent team of professionals, we have been able to develop our range of Pharmaceutical Clean Room Equipment and Machinery with Hospital, Kitchen and Hotel Equipments with perfection. These professionals are efficient to carry out our business operations in an effective manner, which help us to stand tall on the expectations of our patrons. Our hired personnel are dedicated towards their assigned goals and complete the targets in stipulated time-period. Further, our professionals work in close coordination with each other to understand the requirements of our clients and fulfill the same in dexterous manner. Being a quality-centric organization, our endeavors are engaged in providing our clients with an impeccable range of Pharmaceutical Clean Room Equipment and Machinery as well as Hotel, Kitchen and Hospital Equipment too. 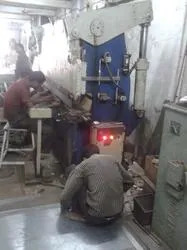 The equipment developed by us are manufactured only utilizing quality-approved raw material like stainless steel, metals and other basic components that are obtained from reliable vendors of the industry. Further, we have installed latest testing machines to inspect our range on different parameters, which is operated by our quality controllers. Our organization has constructed a state-of-the-art infrastructure facility, which is spread across an extensive area of 2500 square feet. With the aid of our modern infrastructure unit, we are able to develop our range of Pharmaceutical Clean Room Equipment and Machinery. Along with this we also manufacturing Kitchen, Hotel and Hospital Equipment with utmost precision. Installed with sophisticated amenities like ultra-modern machinery, technologically advanced technology and cutting-edge tools, we are able to develop our range of equipment. In addition, to ensure hassle-free production, we have properly segregated our infrastructure into different departments. Our main motto is to gain maximum satisfaction & continuous patronage of our clients. 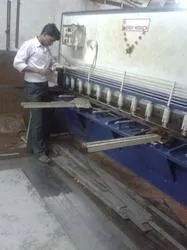 To achieve the same, we have recruited a diligent team of expert professionals, who make use of quality-approved raw material, which is obtained from reliable vendors of the industry. Innovative techniques and methodologies are adopted like in-house software, hardware, CAD design tools to develop this equipment. Perriago API India Pvt. Ltd.
Mandovi Distilleries & Breweries Pvt. Ltd. Dental Avenue (I) Pvt. Ltd.
Bectochem Consultant & Engineers Pvt.Ltd. Schiffer & Menezes India Pvt.Ltd.